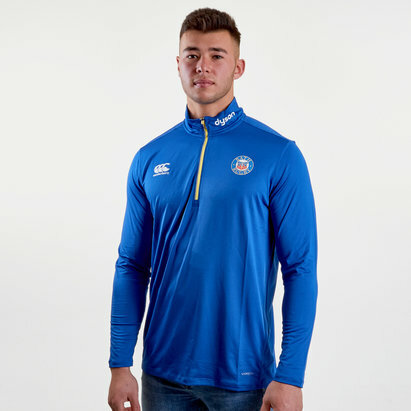 Keep it fresh and look your best whether out and about or at the Recreation Ground in the Bath 18/19 Players 1/4 Zip Training Top from Canterbury. 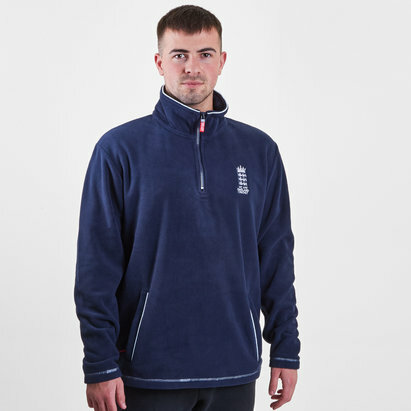 Brave the weather and train in the Bath ThermoReg Quarter Zip Top. Featuring ThermoReg technology to keep you warm and a woven overlay to upper chest for additional protection against the elements. Forward facing shoulder seams reduce irritation when carrying a backpack, while stretch binding to the hem and cuffs ensures a secure and comfortable fit. Finished with embroidered logos. Ideal for training, travelling or watching the game in the stands. This training top is black with a yellow zip. The club badge and CCC logo are embroidered on the left and right as worn, respectively. The club's sponsor - Dyson - is embroidered on the left collar. 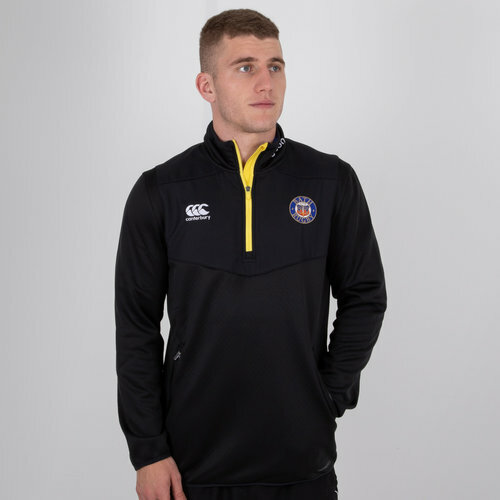 Look your best in this Bath Players 1/4 Zip Training Top.